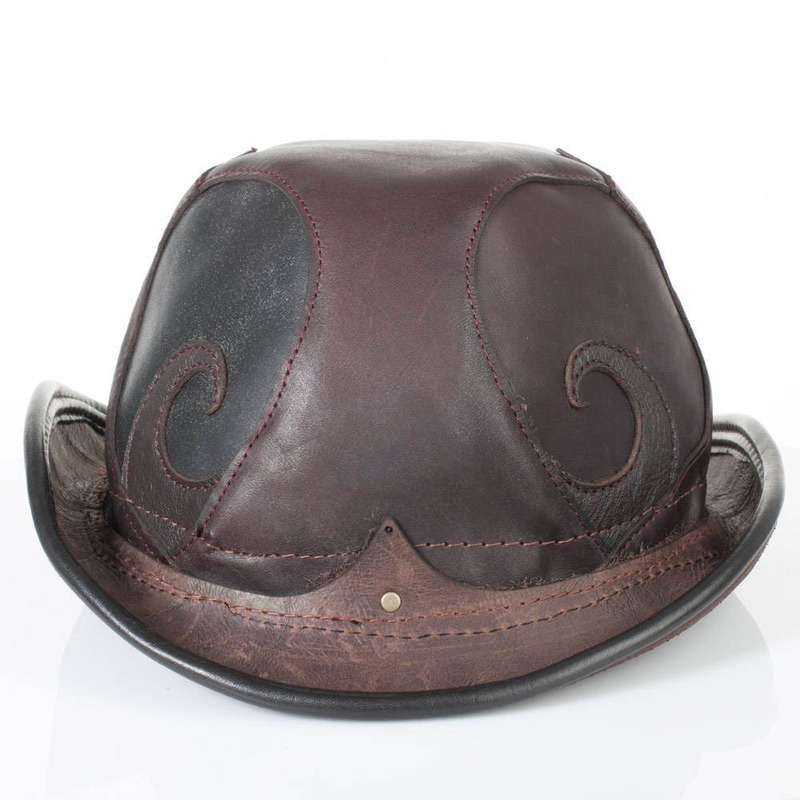 Introducing the Astral Chrysalis Designs reprise of the classic English Bowler Hat, circa 1849. We've always loved the Bowler hat and after a friend handed us an antique Bowler head block, we became inspired to finally make one. We've named our version the Rapscallion, as it speaks to the roguish, mischievous, comical character this style hat always seems to be worn by, think Charlie Chaplin, John Cleese, Laurel and Hardy. This very first leather prototype of our brand new design oozes character and it is discounted! As you can see it has smaller spirals and a slightly different layout from the final design. 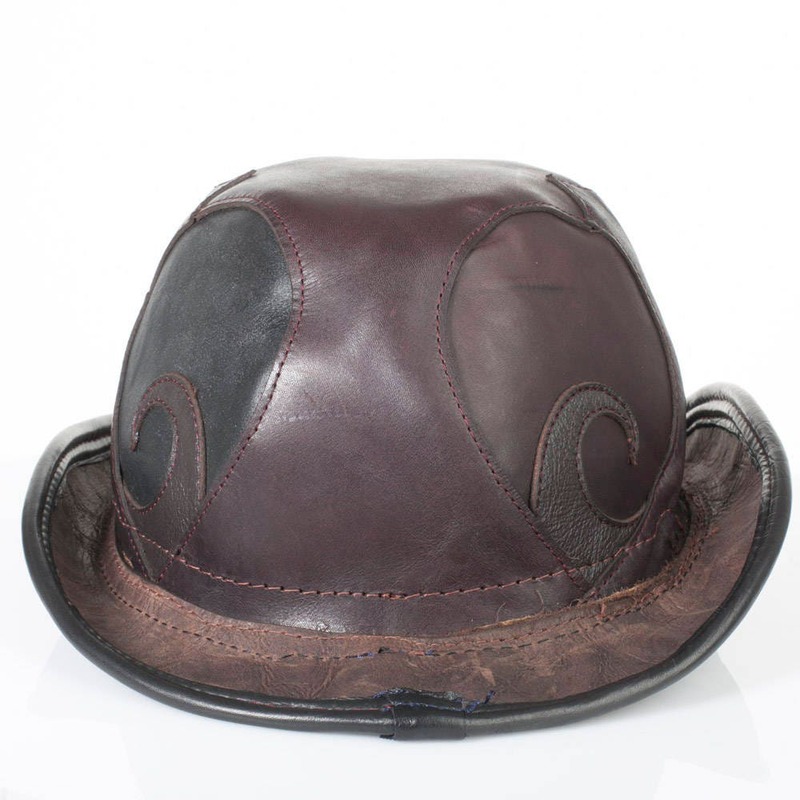 This multicolored leather hat is made from recycled leather that we proudly kept from ending up in the landfill. 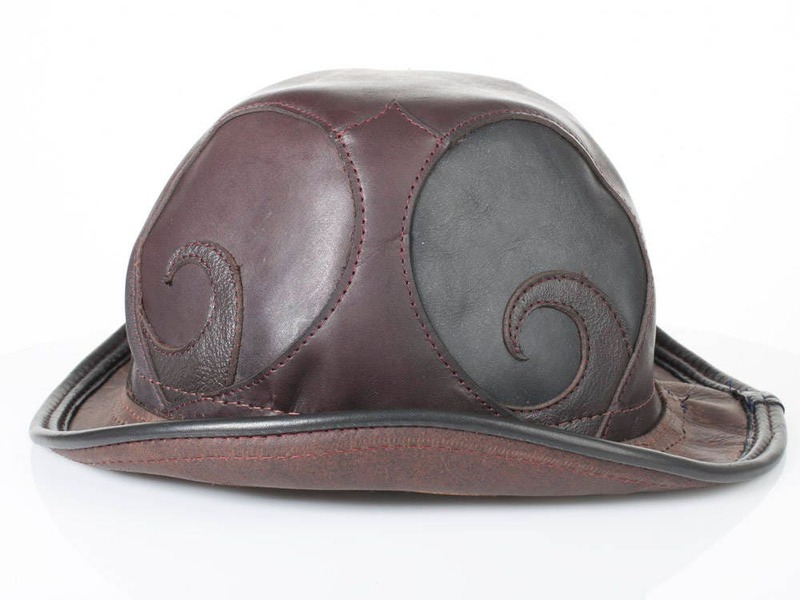 The hats half dome crown is strongly built from multiple layers of tough Latigo saddle leather. The spiral detail is cut from 2.5-3oz leather, utilizing pieces of gorgeous leather we've collected over the past 7 years of creating our handcrafted art. 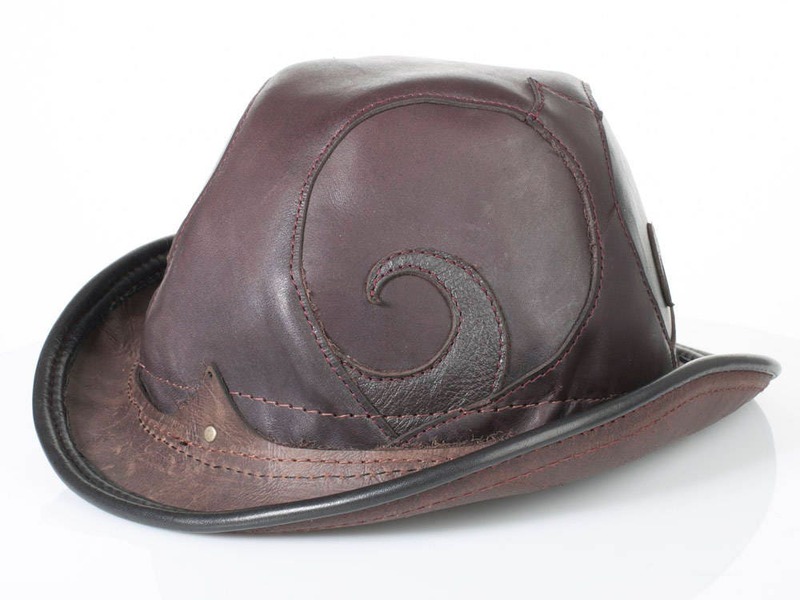 As always we love an adjustable wire lined brim that allows you to stylize it to your liking. The colors of this Rapscallion are Dark Brown and Black Leathers with Brown thread. There is 1 Tarnished Brass rivet for decoration. This hat is a size EXTRA LARGE and will fit a 25.75" head circumference. If you are interested in a Custom Made Rapscallion with colors of your choosing please message us, as we can make a hat to fit your head perfectly and exactly as you wish!